I've always wondered how wonderful, elegantly created cards are made. Thus, I decided to try creating one using (again) the “Less is More” style or technique with added use of negative or white space. As such, this would be the last card entry of mine using the said style. 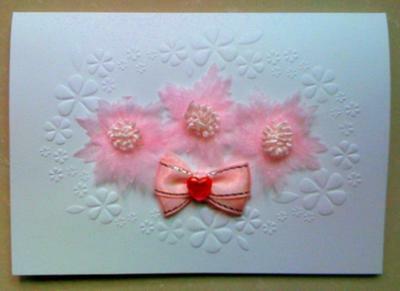 I was opting for a monochromatic white card but I just can’t help adding touches of pink both outside and inside of the card. Position and adhere 3 dainty flowers inside the oval embossed area. 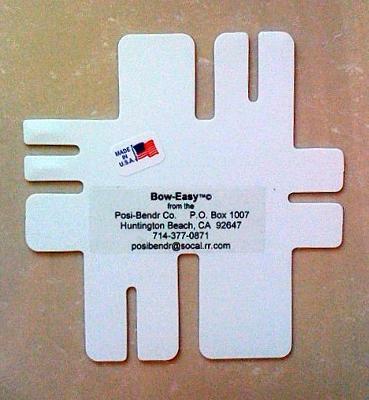 Using Bow Easy, create a small bow and adhere below the flowers inside the oval embossed area. 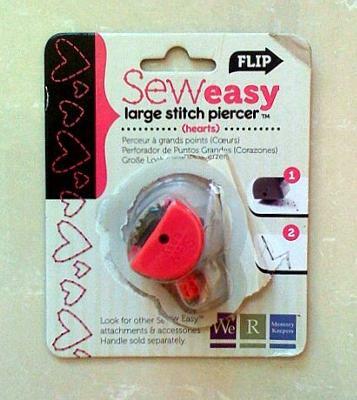 Using your Sew Easy Tool – Hearts, run it across a separate white cardstock. Make sure the cardstock is punctured in the form of hearts using the said tool. Follow the holes of the pierced cardstock and stitch along. After, fussy cut the row of hearts making it a border strip. 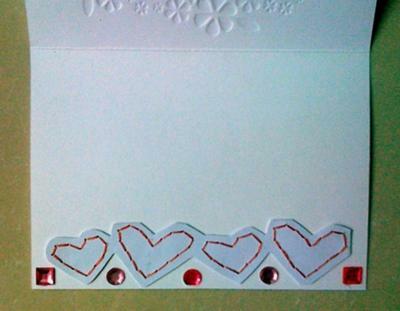 Adhere the fussy cut sewn heart border strip on the bottom of the inside of your card. Glue down gems for some sparkle. Drop by my blog: Creo by Lady Katutz where I share various projects.